One county board race and a hotly contested race for state's highest court. Tim Burns, Rebecca Dallet, and Michael Screnock. Tomorrow — Tuesday, February 20th — is the spring primary election in Wisconsin. The top two vote getters in each election will advance to the general election on April 3rd. Elections where there are two or fewer candidates are running will not appear on the ballot in the primary. 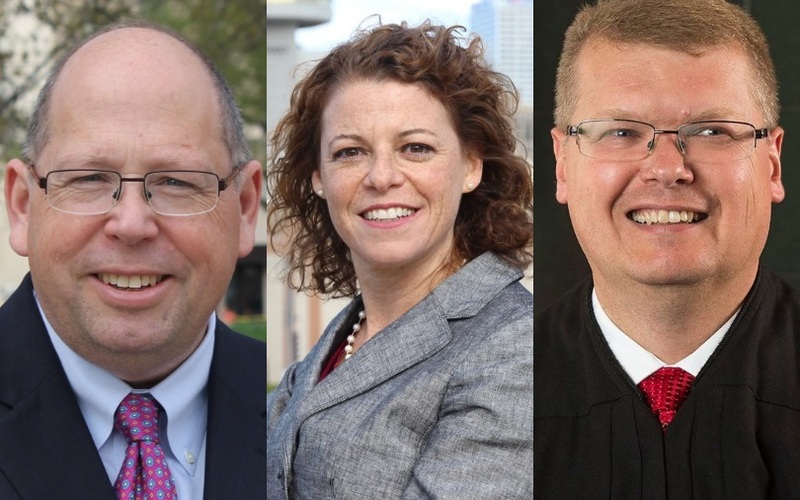 For most of Milwaukee County that will leave just an important Wisconsin Supreme Court seat on the ballot. One three-way primary is taking place in the county’s southeast corner where three candidates are squaring off for a seat on the Milwaukee County Board of Supervisors. Polls open at 7 a.m. Find your polling place and see a sample ballot at My Vote Wisconsin. Below you’ll find basic information provided by the candidates themselves and a link to their website and Facebook page. And if you click on their name you’ll be brought to any stories written about the candidate. Tim Burns. Photo courtesy of Burns for Wisconsin. As a Justice, Tim Burns will stand up for working families on the Wisconsin Supreme Court. While Tim’s parents were forced out of high school due to poverty, they taught him the importance of hard work, fairness and equal opportunity. Tim believes that fair courts ensure everyone has an equal opportunity to succeed, not just the wealthy and the well-connected. Tim has the right experience, qualifications and values to be Wisconsin’s next Supreme Court Justice. Tim is one of America’s leading attorneys in standing up to large insurance companies. Tim has been hired by major clients in three dozen states and ten foreign countries to handle their most sensitive issues. He has chaired the American Bar Association’s committee on Fair and Impartial Courts, and serves on the national board of the American Constitution Society, an organization that focuses on constitutional issues. Tim and his wife Pam, have chosen Middleton to raise their family. Married for over 20 years, they have three children. Rebecca Dallet. Photo courtesy of Dallet for Justice. I’ve spent more than twenty years in our Wisconsin court rooms fighting to ensure justice for the people of our state. Over the past two decades, I’ve gained the experience we need, right now and in this moment, to protect the values we share. I know the challenges and the problems Wisconsin families face. I have spent my career, first as a prosecutor, and now as a judge, working to make our community safer. I’ve overseen both civil and criminal courts—making tough decisions to send violent criminals away, and rendered compassionate verdicts to give people a second chance. In our courts, I see the challenges our neighbors face every day: I see moms like me working two jobs, but still not able to make ends meet. I see families losing their homes when a family member gets sick and the medical bills stack up. I see victims of violent crime, especially in our poorest neighborhoods, struggling to find a way as guns, drugs, and gangs devastate their community. And I see neighbors trying to get their lives back on track, but stuck in a criminal justice system that needs reform. Judges are challenged every single day: to weigh the facts, examine the evidence and deliver a decision. And while there is so much at stake here in Wisconsin, inexperience is not an option if we want to protect our values at the highest level. I am prepared to fight and represent our values on day one. I’m excited to be on this journey, and look forward to speaking with you soon. Michael Screnock. Photo from Screnock campaign website. 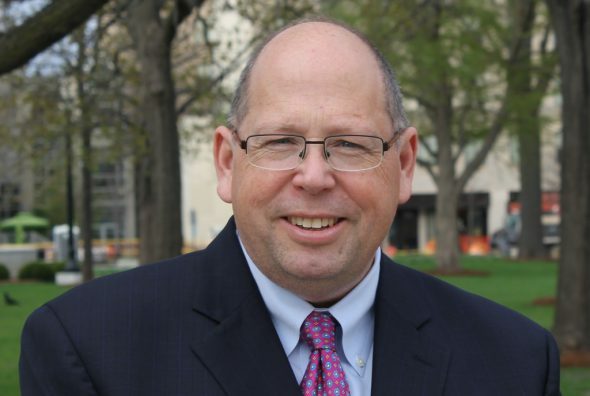 Sauk County Circuit Court Judge Michael Screnock was born and raised in Wisconsin. Having spent his earliest years in Marquette County, where his father served as district attorney, the family moved to his mother’s hometown of Baraboo in Sauk County when he was five years old. After graduating from Baraboo High School, Judge Screnock chose to attend the University of Wisconsin-Madison where he was an active member of the UW Marching Band tuba section. He met his wife, Karen from Brookfield, Wisconsin, on the UW campus and they were married the summer before he graduated with a Bachelor of Science in Mathematics in 1990. Judge Screnock next attended Eastern College (now University) and received his MBA with an emphasis in Urban Economic Development in 1992. Their oldest child was born during graduate school. Their growing family returned to Wisconsin where Michael sought ways to use his training and talents to serve the public. He received an opportunity to serve another Sauk County community by running the City of Reedsburg’s community development program. Much of this work focused on assisting low income and first-time homeowners make necessary home repairs. He then served as Reedsburg’s full time building inspector and then its finance director. The family left Sauk County so Michael could serve the Chequamegon Bay region in northern Wisconsin – first as Washburn’s city administrator and then as Ashland’s finance director. During this time he worked with many local leaders on strategies to position the entire region for success in the 21st century. 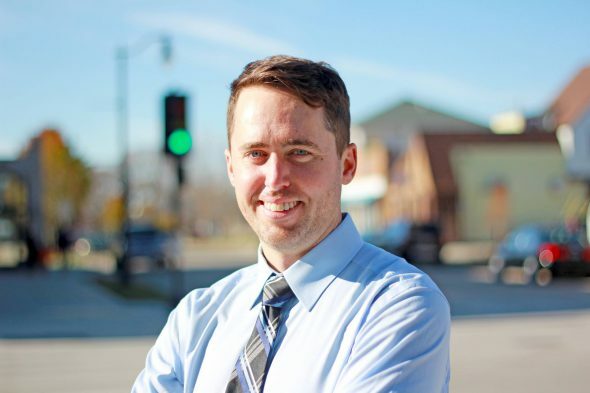 After nearly twelve years serving in local government, and after thoughtful deliberation with his family, Michael decided to return to the University of Wisconsin-Madison to attend law school, where he earned his Juris Doctor degree in 2006. Judge Screnock next sought a position with a law firm where he could build off of his local government experience and be positioned to work on cases that could have statewide impact. He accepted a position with the Michael Best & Friedrich law firm in its Madison office, where his expectations were realized. He worked on many complex cases as well, including defending Act 10. 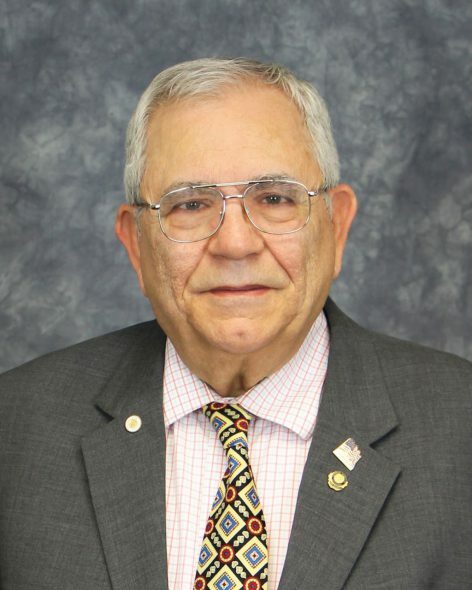 His work focused on civil litigation and administrative proceedings in a wide variety of subject areas, including real estate and land use disputes, governmental regulation, assessment and taxation, public utility regulation, environmental law, and election law. He worked on numerous cases before the Wisconsin Court of Appeals and Wisconsin Supreme Court. During this time, Judge Screnock also co-authored annual legal updates on Administrative Law topics for a Wisconsin State Bar publication. 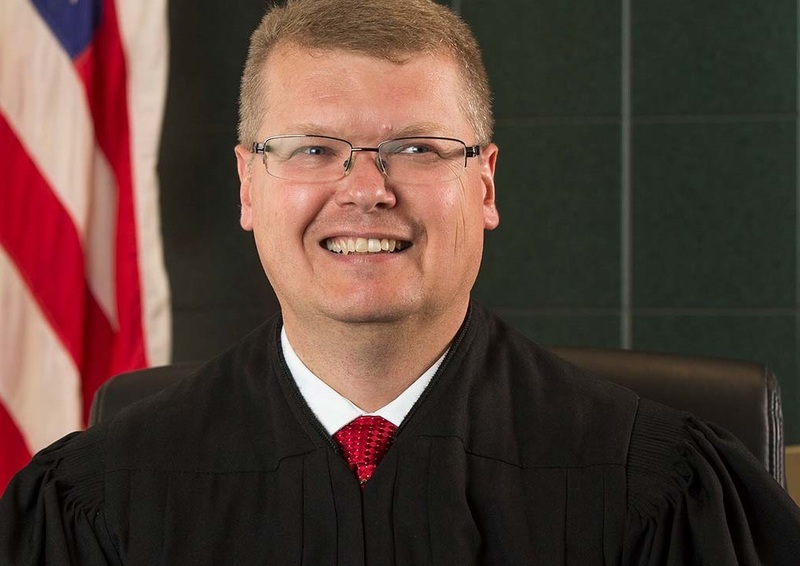 In 2015, Judge Screnock was appointed by Governor Walker to a seat on the Sauk County Circuit Court, located in Baraboo. He counts it an honor and privilege to serve his hometown and surrounding communities in this capacity. In 2016, he successfully ran unopposed to retain his seat on the circuit court. During his time on the bench he has seen thousands of cases to their end. As one of three Sauk County judges, he handles every type of case, including juvenile cases, probate, small claims disputes, harassment injunctions, divorce and other family matters, traffic and other ordinance violations, contract and other civil disputes, civil commitments, and every manner of criminal case from disorderly conduct to first-degree intentional homicide. He also has had the pleasure of presiding over the Sauk County Adult Drug Court since its inception in January 2016. In addition to his professional work, Judge Screnock has remained thoroughly engaged in volunteer community service. Throughout the years he has served as a scout leader, soccer coach, soccer referee, mock trial coach, and math team coach, as well as holding numerous positions within the local church. He also continues to enjoy playing the tuba, and has performed in community bands and small church ensembles. Michael and Karen have three adult sons and one daughter-in-law, who all live in Wisconsin. James Davies. Photo courtesy of the Committee to Elect James Davies. James was born and raised in Southeastern Wisconsin, graduated from the University of Wisconsin Madison and received his law degree from the University of Florida. Since moving to South Milwaukee, he’s fallen in love with the South Shore communities and is involved with Growing South Milwaukee, an initiative working to bring a community garden to South Milwaukee. James is happily married to his wife Stephanie. 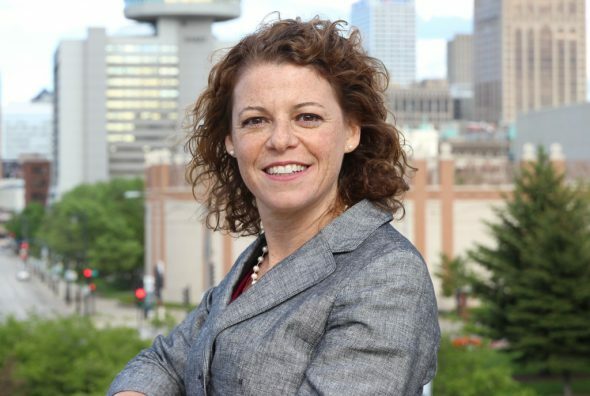 Stephanie was born in Cudahy, lived in Southeastern Wisconsin her entire life, and is currently a public high school teacher and union member. Together, they have a 2 ½ year-old daughter. James is the Senior Director of Operations and Planning for Bublr Bikes, Milwaukee’s nonprofit bikeshare system. James has been actively engaged in his community his entire life. In high school, he volunteered at the Kiwanis Club of Greater Racine Pancake Breakfast. While attending Madison, he volunteered at a local hospice. 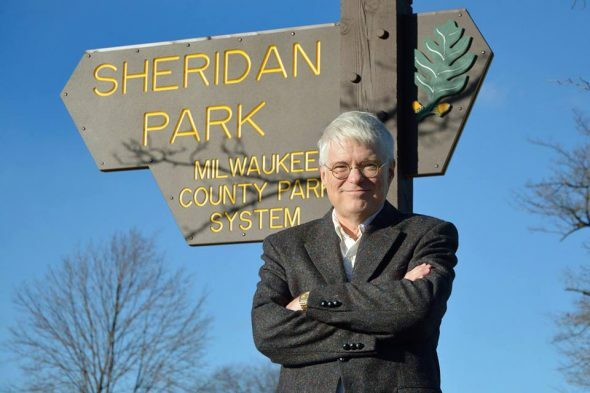 He also volunteered for the Wisconsin League of Conservation Voters, working to get the Great Lakes Compact passed. During his time attending law school in Florida, he volunteered with Florida Organic Growers, building raised bed gardens for income qualified neighbors. Today he volunteers for the Marquette Volunteer Legal Clinic to increase access to the civil legal system. This history of public service highlights his willingness to work with others to accomplish goals that help everyone. That is exactly what he will do as your County Supervisor. David Sartori. Photo from Milwaukee County. I have a long history of political activism. I have lived in Milwaukee County for thirty-five years. I have a B.A. from Ripon College and a Master’s from Marquette University. For twenty-two years, I have worked at Milwaukee Area Technical College. There I teach students including veterans, dislocated workers, and the physically challenged so they can improve their employment opportunities and contribute more to society. In 2012, I married Laura Kukor-Shea, veteran teacher at Divine Mercy School. I am a member of Nativity of the Lord Parish in Cudahy. Has anyone done any polling on the state supreme court race, whether it be an outside group or one of the candidates? Could Burns and Dallet take the top two spots or is that highly unlikely? See ya at the polls, PMD! WIGOP recently gave the “non-partisan” Judge Screnock $31,000. Then Walker tweeted his support for Judge Screnock. Those moves are consistent with concerns that Screnock might not make it to the general. I mean yes I will be voting tomorrow and hoping that the general is Burns versus Dallet. No more corporate owned Far Right Wing Republican nut jobs in Wisconsin!! No one else at the voting place this morning. Sad. Thanks for the reminder! Time to head out and cast my vote for Judge Screnock! Hoping to see high traffic at my polling location. @PMD, sadly, a whole lot of thoughtful, educated people have been forced to flee the state due to the obscene and disgusting policies of Career Politician Scott Walker and Republicans in Wisconsin. Most of those that are left behind are stuck peeing in cups for Walker and working 2-3 low pay wage slave jobs with no benefits. Too busy peeing in cups and checking people out at the Dollar Store to vote against the corporate puppets Walker and Republicans run for office. You see, this is EXACTLY how Walker’s Wississippi works! Career Politician Scott Waljer and republicans, beholden to their corporate masters and out of state mega-rich donors have Wisconsin all gerrymandered, rigged and sewn up. These crooked charlatans have been nothing short of a disaster for the once proud and prosperous state. Next up, more low pay, wage slave, pee in a cup jobs from China! Enjoy your new role as slave wage laborers for the Chinese Wisconsin! Thank a republican! Judge Screnock gets my vote! Judge Schrenock gets my vote! You can’t vote twice Judy. At least we can count on Waukesha County Rethug to be the white supremacist criminal he is. How’s Putin traitor? Got your NRA blood money? White supremacists like Judy just steal elections. Well as long as Burns voters go for Dallet in two months she’ll easily defeat Screnock.